A number of Cradle users have recently run into an issue importing CSV files with special characters (scientific symbols, equations and the like). After attempting the import the special characters show up as “?” verses the correct symbol. Cradle does support special characters and they can be imported. The underlying issue is the encoding of the CSV file. 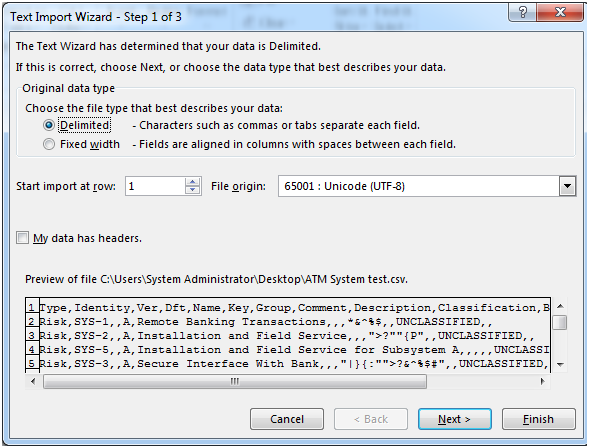 Cradle utilizes UTF-8 for encoding related to CSV (both import and export). Some other programs use different encoding such as ANSI. There is a simple way to alter the encoding and allow for the import of the special characters. 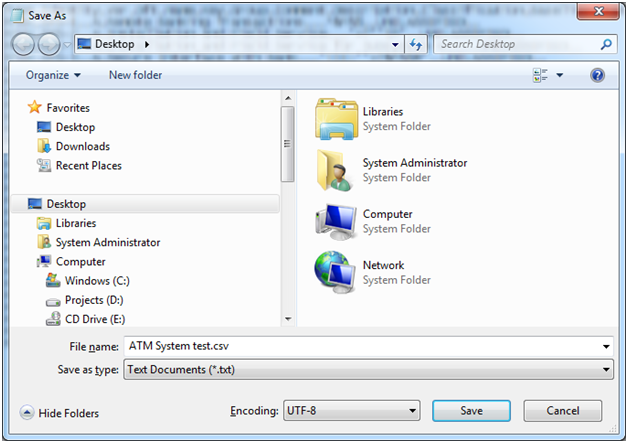 On a Windows system, right click on the file and choose Open with and select Notepad. Under the File menu choose Save as. At the bottom of the window will be a drop down menu for Encoding; select UTF-8 and save the file. Close Notepad and proceed to WorkBench and import the CSV file as normal. The special characters will be imported. If you have exported data from Cradle as CSV, Excel will prompt you to identify the delimiter and formatting of the original file as you attempt to open the file. Ensure that the File origin field indicate 65001: Unicode (UTF-8). On the next screen it will ask you to identify the delimiter such as Tab, Semicolon, Comma. All Cradle files exported as CSV will be Comma delimited. Finishing this operation will display the Cradle export file in Excel with all special characters accurately represented.